Glasgow is renowned for its iconic live music scene, being one of the most vibrant cities in Scotland! Artists such as Franz Ferdinand, The Fratellis, Snow Patrol and Twin Atlantic all either hail from or began their careers in Glasgow. It’s a city that breathes music 365 days a year, with open mic and jam nights that are almost unmatched. If you are planning on singing your heart out at an open mic night, then Glasgow is the place to be. 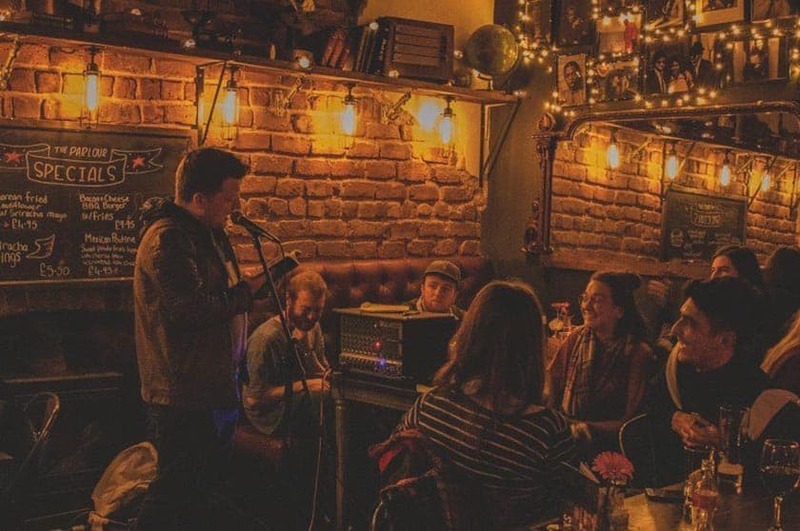 Perfect for all levels of performers to immerse themselves, here are some of the best places to attend an open mic night in Glasgow, in no particular order. 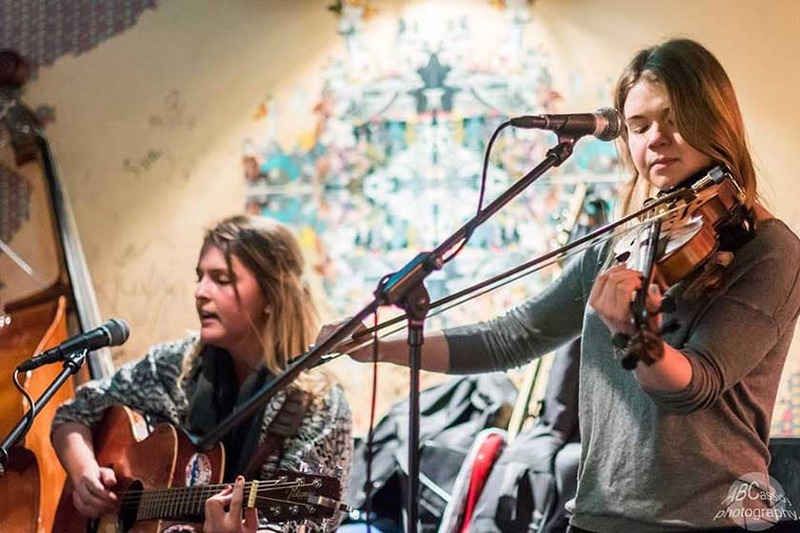 Every Tuesday Box in Glasgow becomes the go-to place for a fantastic open mic night. Hosted by the very talented Ross Leighton of Fatherson and Callum Wiseman of Prides, you are certainly in distinguished company. You shouldn’t let that put you off though, everyone is welcome. The crowd is also always extremely engaged and large, meaning that you really can get your music in front of a wide variety of people. Huge names such as Kids in Glass Houses, Mumford and Sons and Bring Me the Horizon have all performed at the venue so it really is an esteemed place to jump on stage and give it your best. Bloc+ has earned the reputation as one of the best in Glasgow, so you will definitely want to check it out. Jamie Stuart hosts this fantastic event for performers and those wanting to watch musicians late into the night. You will meet a lot of incredibly gifted singers at this event that prides itself on the high-quality atmosphere and performances. It’s a great way to get yourself known. Bloc+ provides all the gear ready for you to get up on stage. They are keen to nurture local talent and don’t pigeonhole, so, if you are looking to perform acoustic songs or heavy metal, Bloc+ is the place to be. You will also get a free beverage in exchange for a performance on the night so you really can’t go wrong. Bag O Nails welcomes fantastic talent to their open mic night every single Thursday. It’s been going for two years now and one of Glasgow’s finest musicians, Crawford Smith, hosts this brilliant night. A fantastic folk singer himself, he definitely knows what it’s like to perform in front of people and is very encouraging. You won’t have to pay for entry and drums, along with a house band, are provided on the night. This gives you the flexibility to either perform with the band or perform with your own instruments, the choice is down to you. Bag O Nails’ open mic night is always busy, so you can be sure that lots of people are going to hear and see you perform. Typical performances are usually folk but there is a huge mixture, so don’t be afraid to try something different. 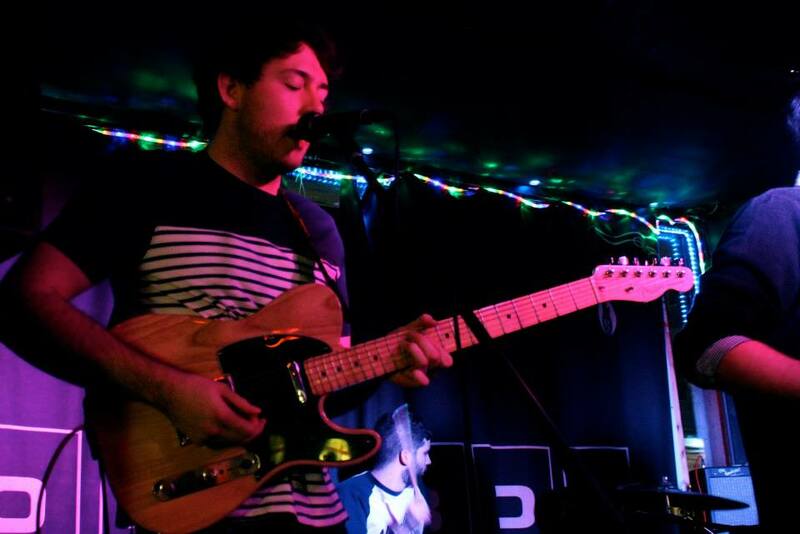 Nice N Sleazy is the proud home to one of Glasgow’s longest running open mic nights. 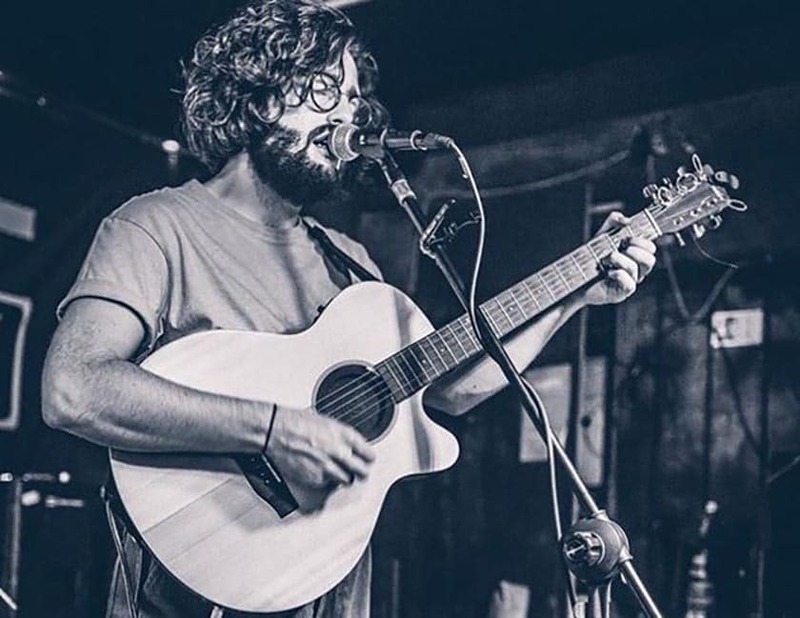 Gerry Lyons hosts the acoustic open mic night and it’s open to absolutely everyone. Every performer will get a free beer and the most talented in the city all flock to this infamous open mic night. The night is themed around acoustic, so bear that in mind when performing to bring an acoustic guitar etc. It is also extremely popular and gets very busy, the night operates on a first come first serve basis so make sure that you get down early so that you can reserve a spot. The vibe at Nice N Sleazy is very rock and roll, you can’t help but feel like a Rockstar when performing on stage here. 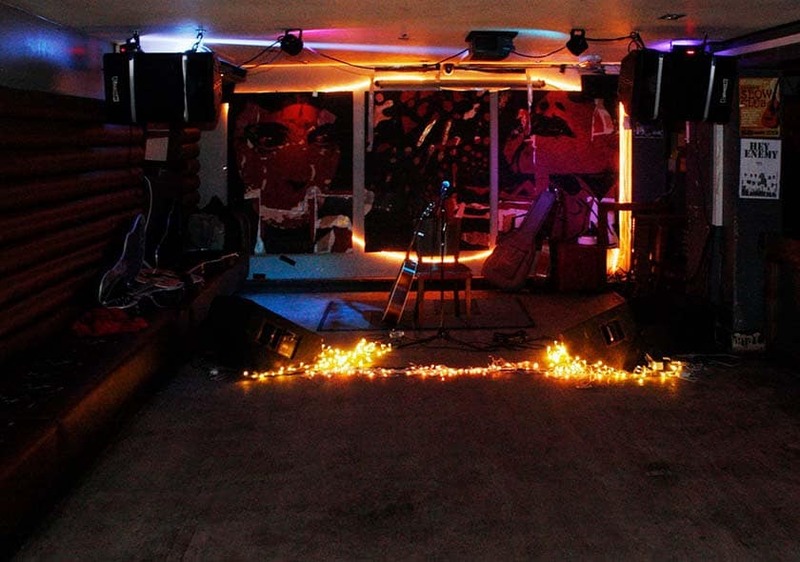 The Parlour offers a lovely poetry-focused open mic evening on a Sunday. You can simply turn up on the night, but be sure to get there on time if you’d like to get involved. Open to all, plus a 15 min set from their featured performer. There are a variety of different acts like comedy and singing there, which means you can enjoy watching a diverse selection talent and relax after you’ve performed. Sammy’s Open Mic runs the first Sunday of every month and is hosted by the house band, The Bucks. This legendary night has been running for over 15 years now and has built up quite the reputation! The Bucks are kind enough to leave their equipment on stage if asked, so if you need a guitar or drums, they will be there! It doesn’t stop there though, the venue is fully equipped with a high-end PA system, lights and a stage, really setting you up for a great performance. You will feel extremely welcomed with the inclusive and encouraging vibe, with a great crowd that usually is around 80 people. A fantastically popular open mic night at the Duke’s Bar is hosted by “The 2 Daves” from Strange Blue Dreams. They are extremely talented and very funny, immediately putting those singers’ nerves at ease. The 2 Daves Open Mic Night has built up an entire community from the popularity of the night and even have a fantastic Facebook group. There you can keep up to date with who’s singing what and ask questions about the night. Crawford Smith hosts the brilliant Sunday open mic night at the Allison Arms. It’s well-known as one of Southside’s friendliest pubs which means it’s the perfect place for your first attempt at an open mic night! They welcome all performers and music lovers alike with a free drink for everyone who performs in front of the large crowd. The atmosphere is always very lively with a warm reception for anyone who performs, there’s no need to worry about stage fright at The Allison Arms. If you needed more reason to attend, the pub is very dog-friendly so you can even bring along your pup for a friendly face in the crowd or even cuddle someone else’s to calm those nerves before your performance. Want to perform? Just turn up on the night ready to perform! 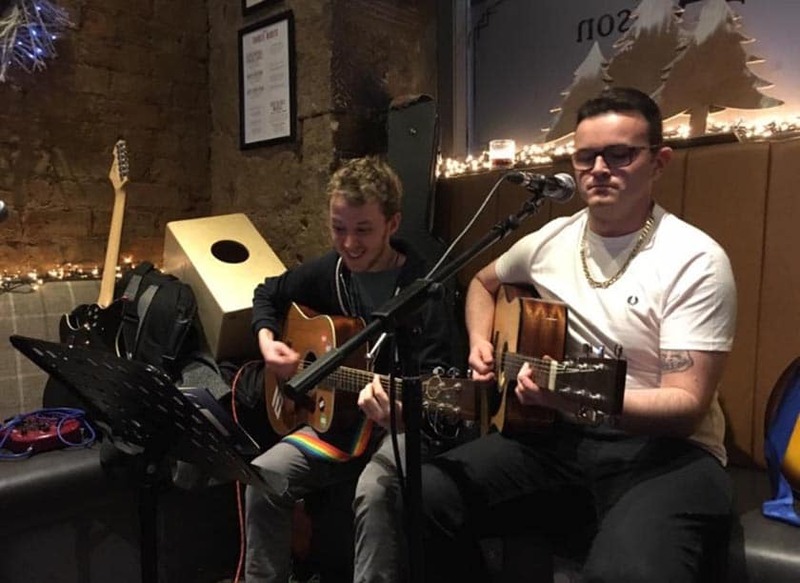 Delmonicas has been at the heart of the Glasgow gay community since 1991 and throws one of the best open mic nights for anyone to attend and perform! Kenny Davidson and Laurie Johnston host the Monday mic night, bringing great energy and enthusiasm to performances. Mics and a house guitar are provided, giving you the choice to perform your own instrument or use the people in-house. Some great talent is showcased at Delmonicas and you really don’t want to miss the opportunity to perform in front of a lot of people! If you are looking for something a little different, the Wintergills open mics might just be the ones for you. There are two sessions every week, the Tuesday one is run by Phil Petherbridge and follows a folk theme. The Thursday one is run by Bernadette Collier and follows more of an acoustic theme. The sessions follow more of a group set-up where you can perform together. This gives you the opportunity to familiarize yourself with performing with others and can really challenge you! The nights take place in the sizeable bar which is great for the large numbers of people who turn up. The Tuesday and Thursday sessions have been running for a combined total of 13 years so you can rest assured that they are very popular nights with a large crowd. 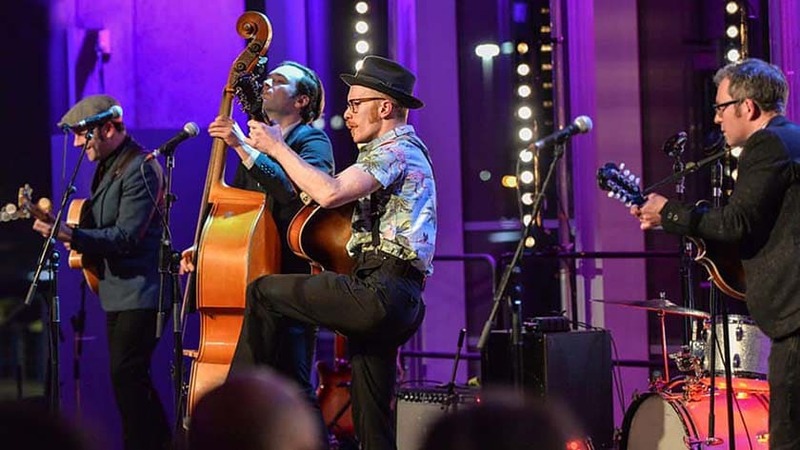 Bring along your guitars, ukulele, banjo, pipes, fiddles, violins, harmonicas and your magical voices for a night of singing that is heavily influenced by folk music. You’ll get your name out there in the local community whilst making some new friends who love music just as much as you do. So now you know where to perform in Glasgow there are no excuses to get out there and get performing! Have you considered entering Open Mic UK? Auditions are coming to Glasgow!